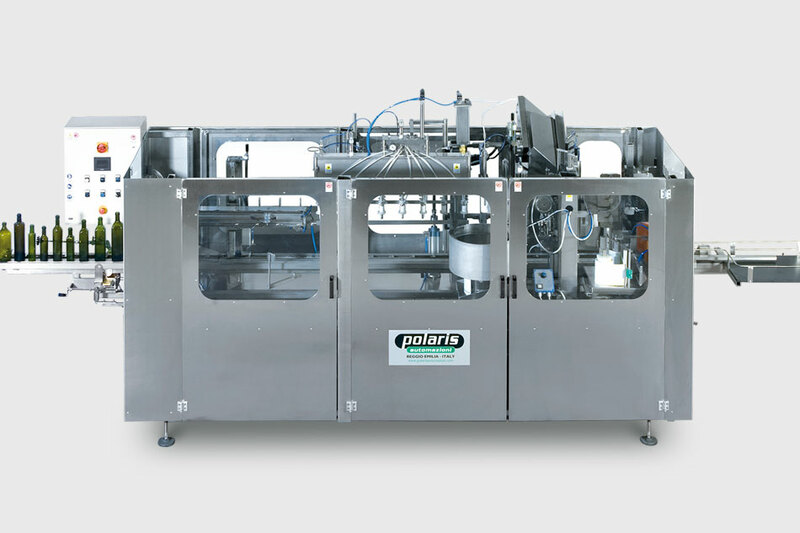 Polaris Automazioni designed the B5 line for small and medium producers that want to automate their complete bottling cycle even with low production rates, and is completed with the new filling system developed specifically by Polaris for the various types and densities of vinegar. The entire line consists of a one-piece machine made entirely in AISI 304 stainless steel. All parts coming into contact with the product are made in AISI 316 stainless steel. FILLING UNIT with 8-nozzles with 3 different filling modes: pressure, with light vacuum in the bottle, or a combination of the two modes. The three options can be used for filling with liquid vinegar (using a slight vacuum), balsamic vinegar, or glazes and condiments that are particularly dense (filled using pressure). Filling under pressure enables the use of glass or plastic bottles (PET or HDPE) and has an inverter-controlled pump to adjust the filling speed based on the type and density of the vinegar for filling in order to prevent foaming. 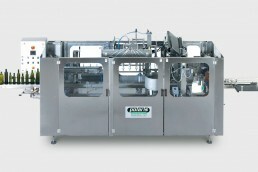 The machine is supplied with an automatic internal cleaning programme with pipe/false bottles. 8-nozzle bottle blower using filtered compressed air, or nitrogen (filter, pressure reducer and pressure gauge, supplied). Alternatively: 8-nozzle rinser that can use running water or a recycled product. Extra filling pipes for bottles with particularly narrow or long necks. Batch feeders for bottled flavourings, by volume (liquid flavourings), by weight or number (solid flavourings). Remote assistance (remote machine diagnostics), via modem. Rotating outlet disk, 800 mm diameter, for collection of the final product.